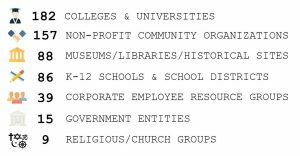 Too few people know about the history of the Chinese Exclusion Act of 1882. This was the first and (to date) only law that targeted and banned a specific group from immigrating to and becoming citizens of the United States. Understanding the history and consequences of this landmark legislation is critical to understanding the American experience and how we define who can be an American and what being an American means. 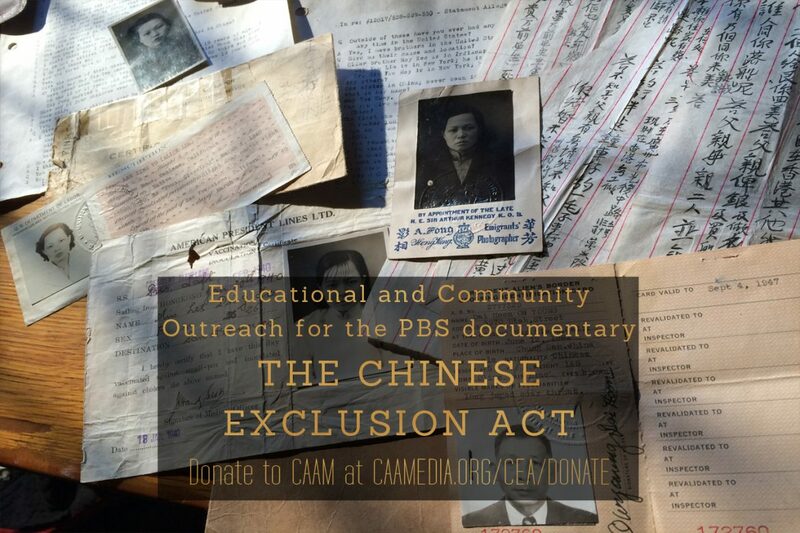 This is why, several years ago, CAAM signed on as a co-producer of the new PBS documentary THE CHINESE EXCLUSION ACT by award-winning filmmakers Ric Burns and Li-Shin Yu. 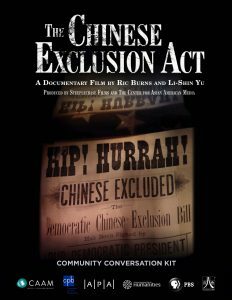 THE CHINESE EXCLUSION ACT documentary shows the important connections between the Chinese Exclusion Act and the history of American civil liberties, immigration, and culture. THE CHINESE EXCLUSION ACT had its San Francisco premiere as the Closing Night presentation of CAAMFest 2017 in March 2017 to a sold out audience at the historic Castro Theatre in San Francisco. The film had its national broadcast premiere on the acclaimed PBS series American Experience, on May 29, 2018 during Asian Pacific American Heritage Month. An estimated 2 million people across the nation watched the broadcast premiere. 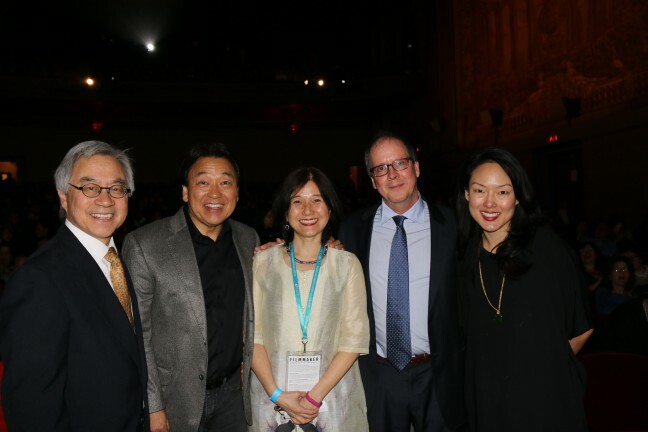 From left to right: Stephen Gong, Robert Handa, Li-Shin Yu, Ric Burns and San Francisco Supervisor Jane Kim at the CAAMFest 2017 Closing Night presentation of “THE CHINESE EXCLUSION ACT” documentary. As part of our efforts to educate more people and foster public understanding and dialogue about the history and impact about the law, we launched an educational and community outreach program in conjunction with the film. The program, Who Is American? Immigration, Exclusion, and the American Dream, launched in August 2016. This is an important opportunity for us to educate more people and communities about this history and facilitate conversations about the continuing impact of this law. We can’t do this without your continued support. 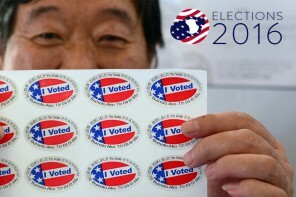 Together, we can ensure that current and future generations know about the Chinese Exclusion Act and and its connection to the larger history of American civil rights, immigration, and culture. Help us bring this important film and other stories about the Asian American community to all Americans and communities abroad by making a tax-deductible gift of $50 or more today to help us reach our goal of $75,000 to support our continued educational and community outreach efforts. Creating educational content (short videos, images, curriculum, discussion guides) that will be available to educators for free through our partner PBS Learning Media. PBS Learning Media is the nation’s most respected site for free high quality digital content, lesson plans and articles for educators, with a community of more than 1 million educators. Making the film accessible to millions of Chinese speaking community members in the United States and abroad by adding Chinese subtitles (traditional and simplified) to the film. 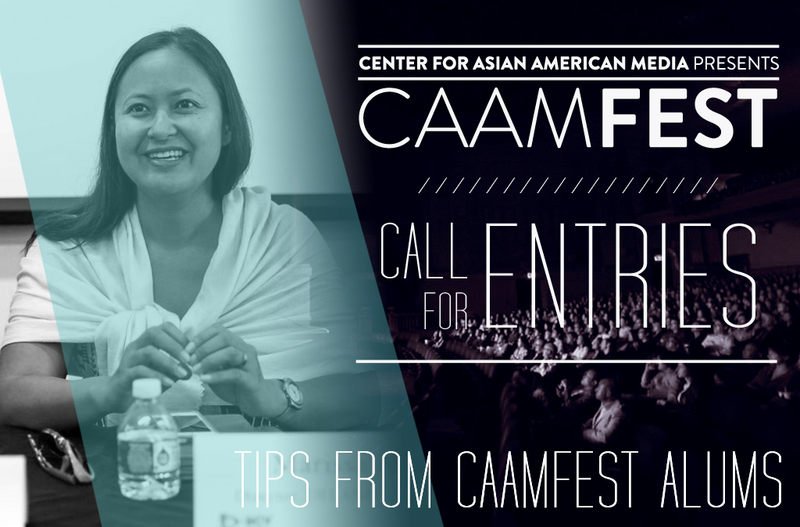 If you have any questions about CAAM’s educational and community outreach efforts and the film, we’d be happy to chat with you in-person, over the phone, or via email. Connect with us by contacting Jennifer Chu, Membership Manager at (415) 863 – 0814 x 102, jchu [at] caamedia [dot] org. To donate by phone using a credit card (Visa, Mastercard, and American Express), please call or email Jennifer Chu at (415) 863 – 0814 x 102, jchu [at] caamedia [dot] org. 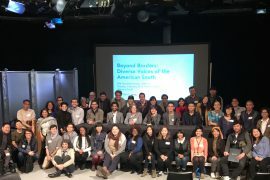 American Experience, CAAM produced, cpb, Donate, funding, history, Li-Shin Yu, PBS, public media, Ric Burns, Steeplechase Films, U.S. History, Who is American?